Human behavior is a funny thing, because even after carefully considering all of these variables, one’s decision often hinges not on hard data, but on one’s gut. Going with the rest of the crowd is often the default. (“What are Pete and Marge going to do?”) Peer pressure is a powerful force in a crisis (though not as powerful as 110 mph winds). The New York Times recently reported on the experiences of individuals who evacuated during Hurricane Michael, and a common theme was the cost of evacuation. Sierra Cardenas of Panama City Beach said hers was a life or death decision. “I have a 2-year-old daughter and I could not take a chance with our lives.” Cardenas expected to be away from home for a prolonged period, and at the time she was interviewed her gas, food and motel bills were already nearing $500, which she put on a credit card. Kelly Gerig of Panama City had spent nearly $800. Vanessa Feigel had spent $500 for food, lodging and gas – which was coming out of the family’s savings. Even though the military paid Jody Walton’s evacuation expenses, she wasn’t sure how she could afford her Homeowner’s deductible. Most Homeowners policies don’t cover evacuation expenses so residents have to dig deep into their pockets or put everything on a credit card. In a survey conducted this summer by National Hurricane Survival Initiative and FAIR Foundation, nearly one-fourth (23%) said at one time or another in their life they’ve stayed put during a hurricane because of the cost of evacuation. 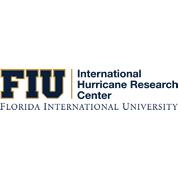 One-fifth of the survey respondents said they paid between $300 and $500 to evacuate from Hurricane Irma, while 40% spent $500 or more. The first few days (and weeks) after a hurricane can be paralyzing. While it’s difficult to be prepared physically and emotionally to face what may come, it’s now easier than ever to be prepared financially for those first 24 to 72 hours. A new type of insurance called StormPeace pays immediately after a hurricane and the funds can be used for expenses not covered by a Homeowners policy as well as the deductible. In fact, some Florida residents who can’t afford Homeowners insurance have relied on StormPeace and its low premiums to get back of their feet; $1.25 a day can buy up to $10,000 worth of coverage. StormPeace is parametric insurance, which means the payout is based on preset parameters: the strength of the hurricane and its distance from the insured’s address. There’s no claims process and unlike traditional insurance all claims from Michael have been settled, most of them within 24 hours. Parametric insurance like StormPeace is a product that’s long overdue. It helps people get back on their feet faster without having to exhaust their savings or max out a credit card. So the next time evacuation orders are posted the decision to stay or go will be easy. TALLAHASSEE, Fla. — Former U.S. Rep. Gwen Graham, whose Congressional district included many of the Northwest Florida counties and towns most devastated by Hurricane Michael, has joined the leadership team of the REBUILD 850 initiative. Graham will serve as co-chair of the effort, along with former Florida House Speakers Allan Bense and Will Weatherford. Bense said Graham’s deep history in the region and leadership skills will add valuable perspective as the affected communities work to recover and rebuild. REBUILD 850 unites the resources and efforts of Volunteer Florida, the Florida Department of Economic Opportunity, the Florida Chamber of Commerce, the Florida Chamber Foundation, the Florida League of Cities, the Florida Association of Counties, United Way of Florida, the American Red Cross, the Florida Press Association, the Florida Association of District School Superintendents, the FAIR Foundation, “Get Ready, Florida!”, the Florida School Boards Association, the Florida Society of Association Executives, United Way of the Big Bend, and the Greater Tallahassee Chamber of Commerce. REBUILD 850’s objectives urge people to donate, volunteer, visit and invest in the affected region. The mission is to help residents of areas devastated by the power of Michael while promoting commerce in communities – ranging from Panama City Beach to Pensacola – that escaped the worst of the storm’s wrath and remain open for business. Donations to REBUILD 850 will be administered by Volunteer Florida’s Florida Disaster Fund. The Florida Disaster Fund is the state’s private fund established to assist communities following disasters. The funds are distributed to approved organizations that are serving affected individuals throughout both disaster response and long-term recovery. During response, these organizations and volunteers are assisting with tree removal and debris cleanup, tarp installation, mucking out and gutting of homes, and food distribution. Long-term recovery includes rebuilding homes, businesses, and communities while offering financial guidance and planning services. Despite the stunning devastation wrought by Hurricane Irma just one year ago, and 1 in 5 Floridians still say they would not evacuate even when a Category 4 storm is forecast to come within 10 miles of their home – and more than half of Floridians who live in evacuation zones have disregarded recommendations to leave ahead of a powerful storm. Those are two of the alarming findings released today from a new survey commissioned by the National Hurricane Survival Initiative. Fugate, a native Floridian who directed Florida’s emergency management division through numerous powerful storms, unveiled survey results at a news conference call organized by the National Hurricane Survival Initiative and FAIR Foundation. Fugate, who is host of the initiative’s “Get Ready, Florida!” television special, said the findings should be a wake-up call for the state, spotlighting how much Floridians overlook the tremendous dangers posed by powerful hurricanes. “We can never stop trying to educate people about the risks associated with hurricanes,” he said. A majority of Floridians who evacuated during Hurricane Irma said the process cost them more than $300. Of these, 40% said the evacuation cost them $500 or more, while an additional 20% said the cost was between $300 and $500. For the most part, Floridians are more prepared to meet the needs of their pets in a storm than they are the humans in their home. The portion of Floridians who mistakenly believe it’s safe to run a generator somewhere in the home has increased over the past nine months. More than one-third of Floridians who live less than 2 miles from the coast don’t have flood insurance. More than half don’t know what their homeowners or renters insurance covers in a hurricane, with many incorrectly believing insurance covers things like replacing spoiled food, removing debris from the yard, and buying a generator. The survey found that 18% of residents say they would not evacuate if a Category 3 or 4 storm – powerful storms that carry tremendous potential for destruction and loss of life – was expected to come as close as 10 miles from their home, despite the tremendous risk to themselves and their families. More than half (58%) would not evacuate for a less-powerful, yet still dangerous, Category 1 or 2 storm expected within 10 miles. And many residents do not heed official advice to evacuate. The survey found that 40% of Floridians have lived within an evacuation zone and received a recommendation to evacuate, but almost 3 in 5 of them have chosen to stay in place. The biggest reasons cited by those who did not evacuate were concerns with traffic or road conditions (31%), not believing the storm would be that bad (24%), the cost of hotels and/or gas (23%), and not being nearby to protect their home in the aftermath (16%). According to the survey, more than two-thirds of Floridians (69%) recognize that there is no safe place inside a home to run a generator after a power failure. However, this means that almost one-third (31%) believe it is okay to run a generator in a garage (16%), on a balcony (13%), or any room with an open window (8%). Alarmingly, these numbers are higher than responses to the same survey questions in December 2017, just months after Hurricane Irma, when 27% identified at least one of these places as being safe. “I get it – evacuating isn’t easy or convenient, and neither is keeping a generator outside during and right after a storm. But that’s nowhere the near the pain and suffering that could be caused when you take a risk by staying in place or failing to take proper precautions,” Fugate said. Most Floridians said they were prepared in advance for Irma – more with pet supplies than such human necessities as food and water. A large majority (83%) took care to stock up on medicines in advance of Irma, and the next most common preparation was pet supplies (80%). These were followed by batteries or a backup power supply (63%), cash (63%), food (61%), window protection (60%), a water supply (59%), and ice (45%). Well over half of homeowners (60%) don’t know what their homeowners insurance covers. More than three-quarters (82%) are either not sure or mistakenly believe their insurance covers such many common hurricane-related expenses as replacing spoiled food (15%), hotel or evacuation expenses (14%), and trees and debris removal from their yard (14%). Only 15% of Florida homeowners are aware that hurricane deductibles average around $5,000 — and more than 57% said paying that much following a storm would be difficult if not impossible. A majority (53%) felt their electric provider handled recent storms like Hurricanes Matthew and Irma better than in the past, with more than two-thirds (69%) saying the utility communicated well during the storms. Noting that 29% of those surveyed who live less than 2 miles from the coast don’t have flood insurance, Michael Braun, CEO and President of FedNat, said these residents put themselves at significant financial risk because flood protection is not typically covered in a standard homeowner’s insurance policy. Overall, just 44% of Floridians surveyed carry flood insurance. Just 1% of survey respondents were aware of the PACE (Property Assessed Clean Energy) program, which helps homeowners finance improvements to make homes more resistant to hurricane-force winds or obtain backup generators. Asked what they would most want to use PACE funds for if they were eligible, Floridians’ most popular answers were a backup generator (44%); impact-resistant doors and windows (42%); a wind-resistant roof (33%); solar panels (29%); and storm shutters (27%). Partners for Get Ready, Florida! 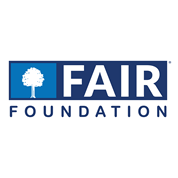 and the National Hurricane Survival Initiative are the FAIR Foundation, the International Hurricane Research Center at Florida International University, the National Emergency Management Association, Craig Fugate, and The Salvation Army. Sponsors include StormPeace, FedNat, Ygrene, and Florida Power & Light. The survey has a margin of error of +/- 3.1%.